Every few years, an outlet like Rolling Stone or VH1 enlists a group of faceless rock critics to assemble its latest gargantuan list of the best albums of all time. These lists are typically populated by the same repeat offenders, with the only question mark being whether “Sgt. Pepper” or “Revolver” will nab the top spot. For listeners looking for evidence that proves Nirvana’s “Nevermind” is superior to Bob Dylan’s “Blood on the Tracks,” these rankings are a godsend. But those wondering where albums like “Back to the Egg” and “Gone Troppo” fall into the mix are out of luck. To fill that void, I presented a survey in collaboration with Beatlefan and the Steve Hoffman Music Forums to determine what fans thought of every single studio album released by The Beatles as a group or as solo artists in the five-decade span between “Please Please Me” and last year’s “New.” The 94 albums fans could vote on included experimental, classical and remix albums, but not live albums, compilations or archival releases, ranking them on a scale from 1 to 10. In total, 506 fans took the survey. On the surface, many of the results are unsurprising, but digging deeper into the votes provided some intriguing revelations, like the fact that there are at least four people who prefer “Two Virgins” to “All Things Must Pass.” (You know who you are.) Plus, the contentious battle for the top solo album — which shifted back and forth as the ballots came in — was swayed by a mere three votes. Presumably, some may have voted strategically in an effort to boost their favorite albums and/or Beatle in the ranking, but ultimately this is a ranking for Beatles fans by Beatles fans. Of course, I’m sure there will still be plenty of debate over the results, and I look forward to reading it! So while we unfortunately cannot offer any indication of the quality of “Mind Games” relative to, say, Talking Heads’ “Remain in Light,” thanks to the magic of statistics we can definitively say it’s better than “Ringo’s Rotogravure.” Of course, it doesn’t take a mathematician to figure that out. 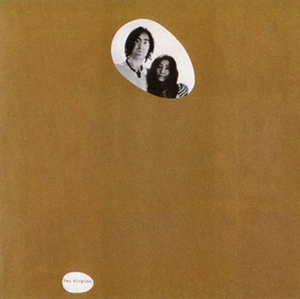 John and Yoko’s trio of experimental albums score the hat trick of dreadfulness, proving that listeners have yet to warm up to these records almost five decades later. It could have been worse: In a 1969 Rolling Stone interview, John promised (warned? threatened?) that an LP of the couple laughing on one side and whispering on the other was due. Alas, it never saw the light of day. “Life With the Lions” managed the impressive feat of earning a “1” from more than 50 percent of voters. While many voters were unfamiliar with this children’s album written and narrated by actor Donald Pleasance — it was only released in the U.K. and has never been issued on CD — those who have heard it clearly weren’t impressed. “You know that I’m drowning,” Ringo sang on the opening cut here, and he had no idea how right he was. This disastrous stab at disco received the highest percentage of “4” votes, from 18 percent of voters. In perhaps the first sign that being able to claim “former Beatle” status only went so far, Ringo was unable to hold on to his Atlantic Records deal after the abysmal performance of “Ringo the 4th” and needed to find a new label. Portrait Records drew the short straw, and “Bad Boy” barely outperformed its predecessor on the charts— much like in this poll. The first album credited to an individual Beatle is also the shortest album on the ranking, clocking in just short of 25 minutes (“Ringo 2012,” on the other hand, is a beefy 29 minutes). Paul’s score to the Hayley Mills film, conducted by George Martin, earned the highest percentage of “3” votes (18.5 percent). This obscure collection mashes up various McCartney compositions with varying degrees of success — which explains why the response to it was more diverse than any other album, with a standard deviation of 2.64. 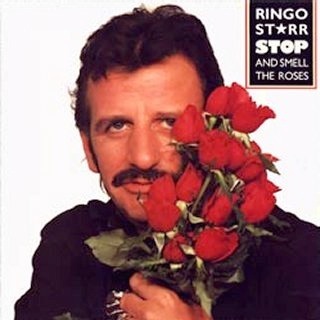 Ringo’s first solo album is one of two albums that received the same amount of “1” votes and “10” votes (10 each). … But clearly it isn’t that much better. 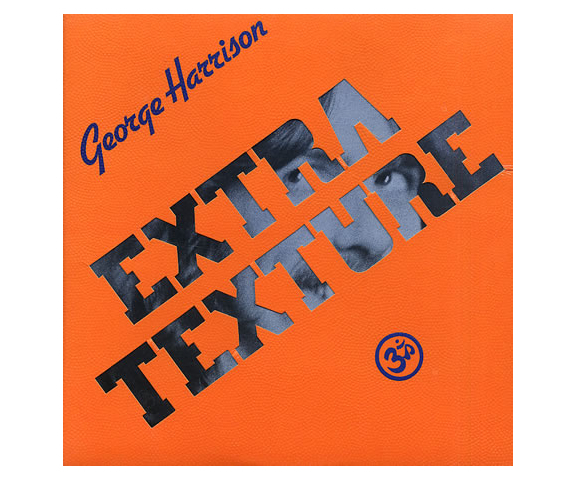 Arguably the gloomiest Harrison album — if not in the entire Beatle catalog — “Extra Texture” received a higher percentage of “6” votes than any other album (23 percent). “Vertical Man” is the other album to receive an equal number of “1” votes and “10” votes (12 each). Though it failed to hit the charts in 1992, “Time Takes Time” outranks every other Ringo album from the past 40 years on this list. Only two of his solo releases appear in the top 50. 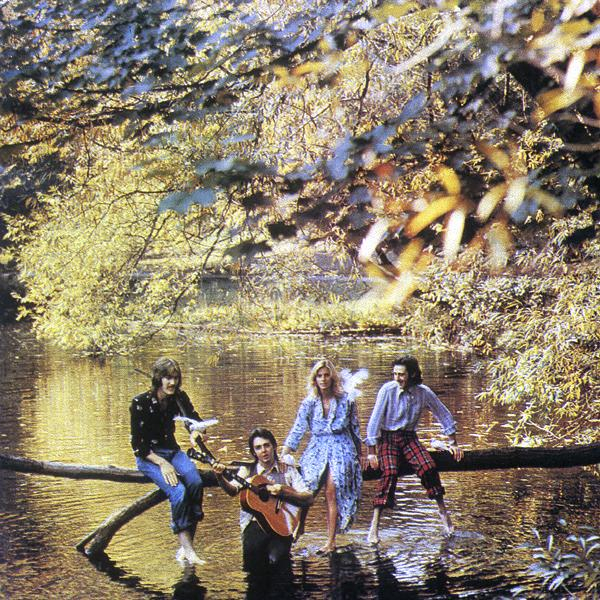 Wings had nowhere to go but up, as their debut album was voted the weakest of their seven studio albums. There was never any question that “Yellow Submarine” would be the lowest-rated album of the band’s core collection — John Lennon once referred to it as a “joke” for its inclusion of George Martin’s orchestral soundtrack. Voters didn’t fully agree with Lennon’s assessment, but it still just misses the cutoff for the top half. “Mind Games” received the highest percentage of “7” votes of any album (26 percent). Listen to this statistic: “Walls and Bridges” narrowly edged out “Help!” as receiving the highest percentage of “8” votes by less than one one-hundredth of a percent (26.55 percent), and is one of just two solo albums with a single “1” vote. Paul’s DIY solo debut is forever linked to The Beatles’ bitter breakup, and received decidedly mixed reviews at the time of its release. Four decades later, fans responded well to “McCartney,” one of only two solo albums that did not receive a single “1” vote. Oddly enough, Paul’s earliest and most recent solo albums appear back-to-back on the countdown. Purists may scoff at the idea of remixing The Beatles, but voters couldn’t deny the magic of tracks like the “Within You Without You”/”Tomorrow Never Knows” mash-up. Still, this is a surprisingly high showing for the soundtrack to the Cirque de Soleil show, and by far the best performance of any album that isn’t a standard pop-rock release. “Tug of War” is the other album that received just one “1” vote. “Imagine” received a higher percentage of “9” votes than any other album (27 percent) — John just can’t escape that number, can he? John’s solo debut just narrowly tops “AHDN” in the closest race of the entire countdown. Once deemed “the nadir in the decomposition of Sixties rock” in an infamous Rolling Stone review, “Ram” is clearly no longer a black sheep in the McCartney discography. It stands with its predecessor “McCartney” as the only solo albums that did not receive any “1” votes. 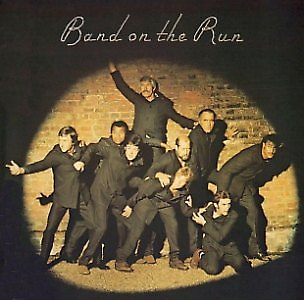 While this received a higher percentage of “10” votes than any other solo album (49.46 percent vs. 49.24 percent for “Band on the Run”), some voters docked points for the “Apple Jam” disc. Had just seven “9” voters boosted their vote to a “10” — or if the three voters who gave Harrison’s triple album a “1” didn’t rate it at all— “ATMP” would have edged out the Wings classic. Interestingly, “Sgt. Pepper” is tied with “Yellow Submarine” for the most “1” votes of any Beatles album, with two. That may not sound like a lot, but had it received just one, like the #4 album on the countdown, the two would have swapped places. 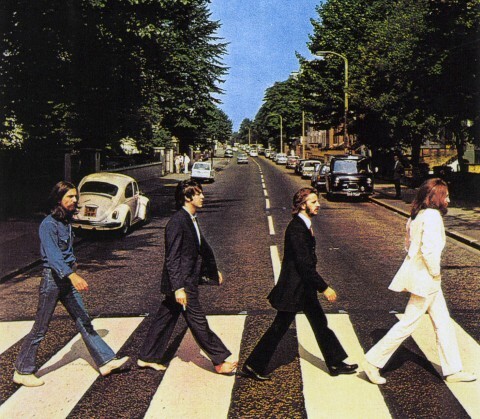 A whopping 80 percent of voters elected to give “Abbey Road” a perfect “10” rating. For comparison’s sake, about 77.5 percent of “Revolver” votes went for the top rating, while the rest of the top five hovered around 60 percent. Only four voters gave “Abbey Road” a rating of less than “7,” ensuring that it easily had the least variation of any album, with a standard deviation of just 0.78. 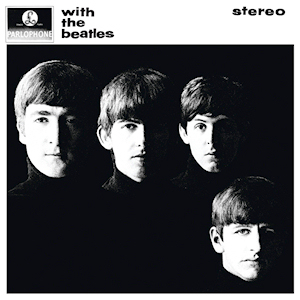 This entry was posted in Uncategorized and tagged A Hard Day's Night, Abbey Road, All Things Must Pass, Anthony Cusumano, Band on the Run, Beatlefan, Beatles albums, Beatles fans, Beatles group albums, George Harrison, George Harrison albums, John Lennon, John Lennon albums, John Lennon/Plastic Ono Band, Paul McCartney, Paul McCartney albums, Paul McCartney and Wings, Plastic Ono Band, Ram, rating albums, Revolver, Ringo Starr, Ringo Starr albums, Rubber Soul, Sgt. Pepper’s Lonely Hearts Club Band, solo Beatle albums, Something New, Steve Hoffman Music Forums, The Beatlefan Blog, The Beatles, Traveling Wilburys, White Album, Wings, Yoko Ono. Bookmark the permalink. As one of the participants, what I found most enjoyable about the “rate everything” approach to this survey was the simple fact that it asked us to … rate everything. In that process, I started doing comparisons I had not done in ages, sometimes never before. If you want to revisit your collection with fresh eyes, try doing your own 1 to 10 point ranking for every album on this list. You’ll reveal your own tiers of Beatles preference! Fascinating. I am amazed at how little there is here to really object to and how much of the list coincides with my own rankings. My only serious gripe is the low ranking of Ringo Rama. I wonder if people have really listened to it. It is outstanding. I would move it up 25-30 places.